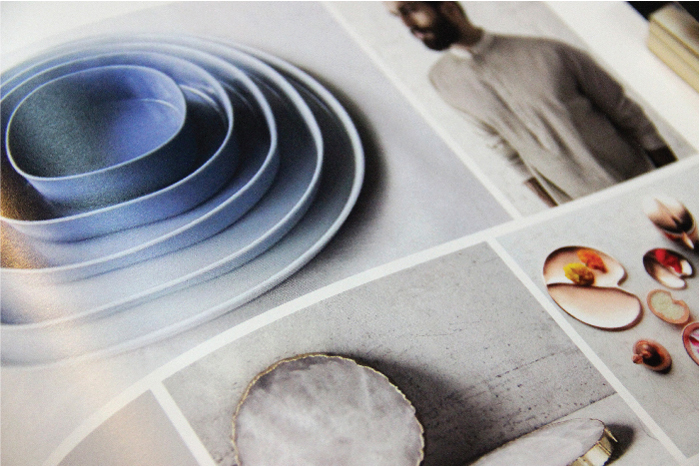 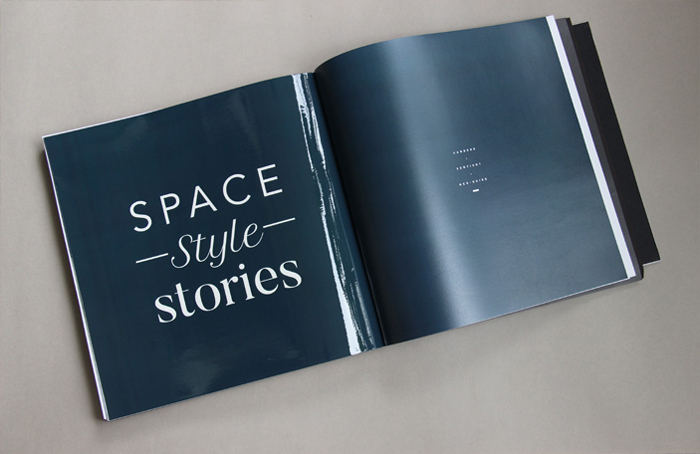 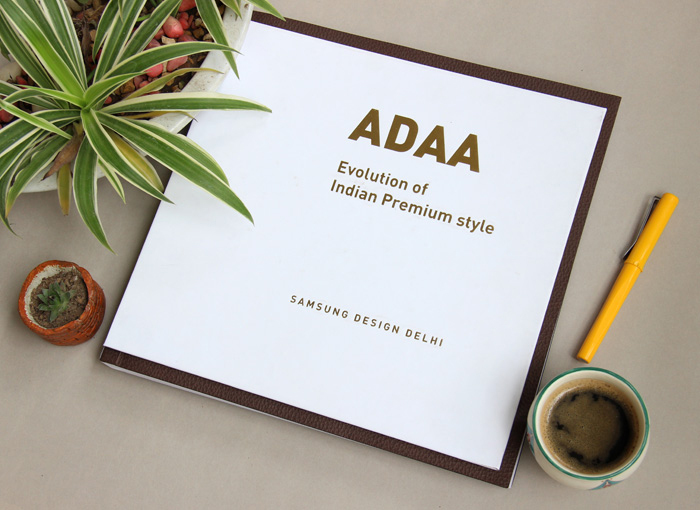 The ADAA coffee table book for Samsung is a design inspiration book made for the benefit of the in-house design team at Samsung. 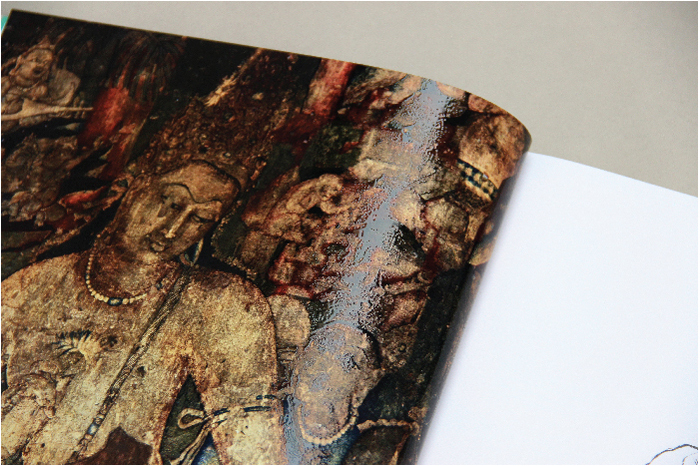 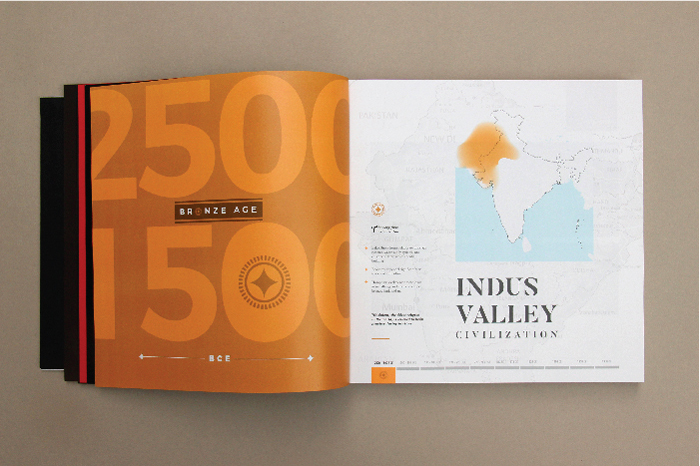 The book features the style-evolution of India; in a timeline format – beginning from the Indus Valley Civilisation, all the way to the present 21st century. 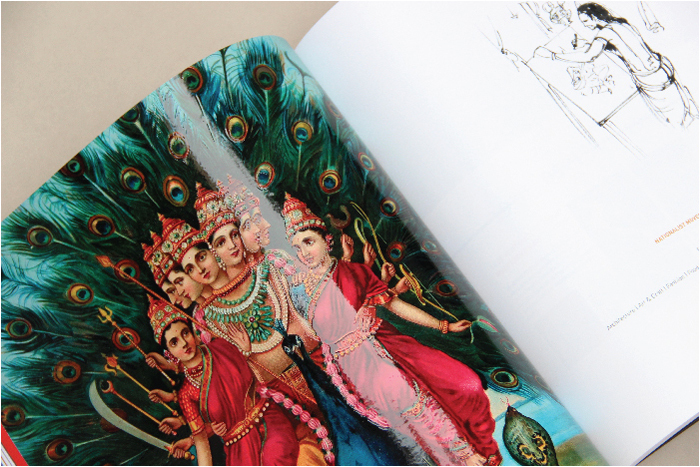 India is a country with a diverse range of styles, due to different influences from all around the globe through the centuries. 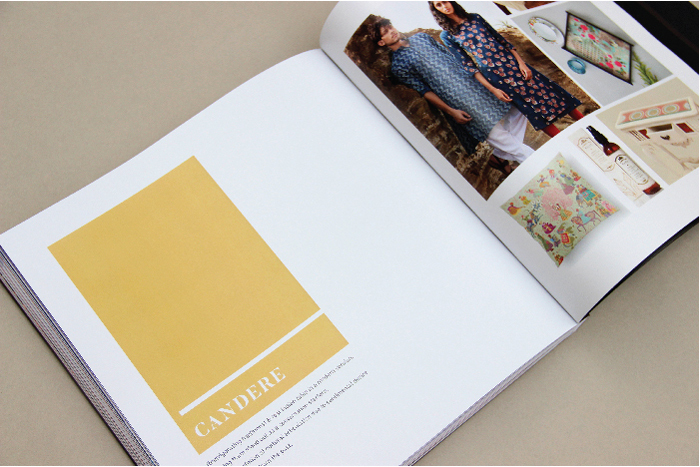 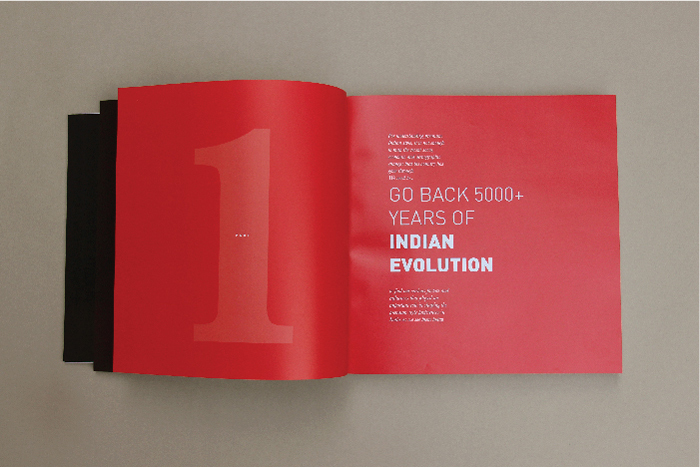 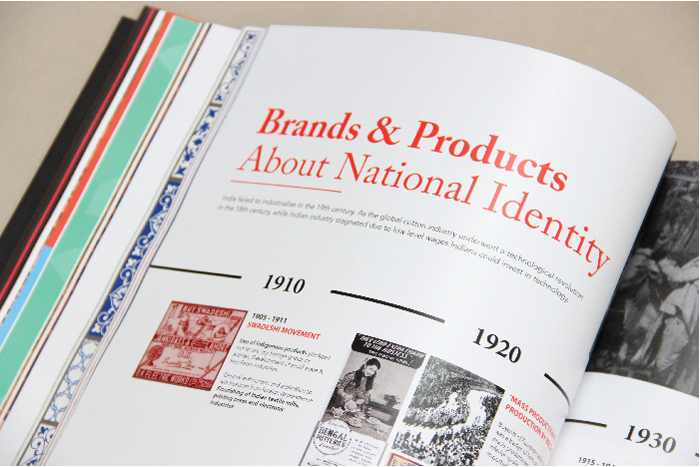 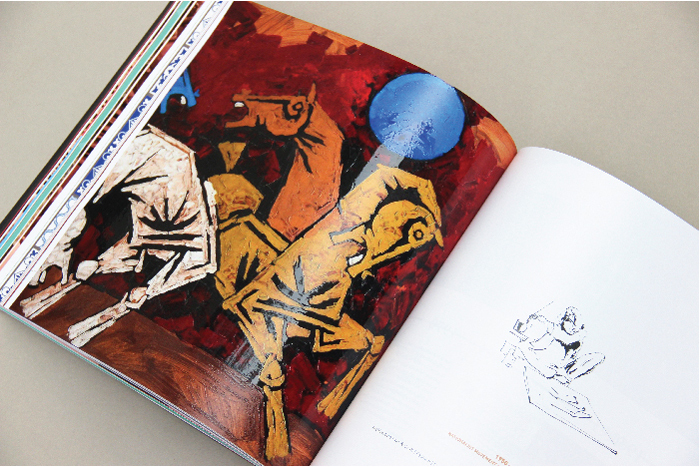 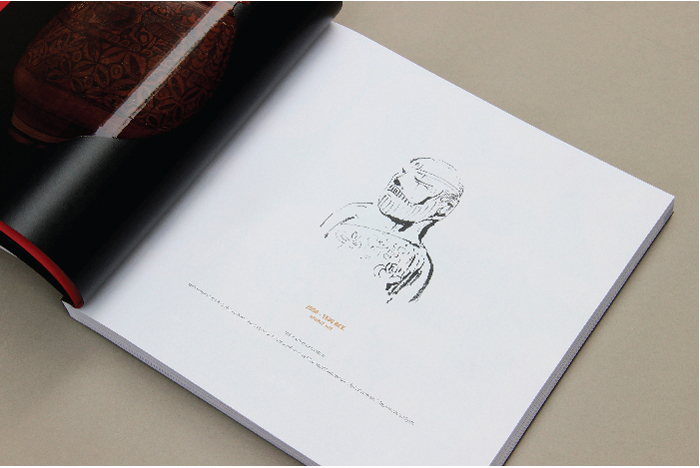 The purpose of this book is to make the reader aware of the untapped reservoir of design inspiration in India. 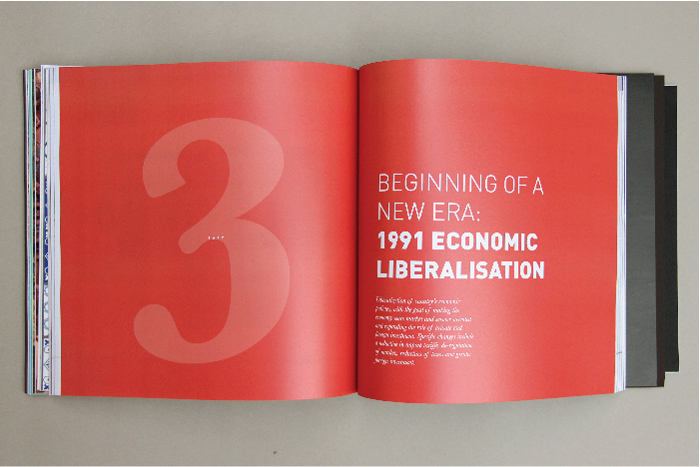 The timeline is divided into three parts; the history of India, India post-independence and the growth of India after the 1991 economic liberalization. 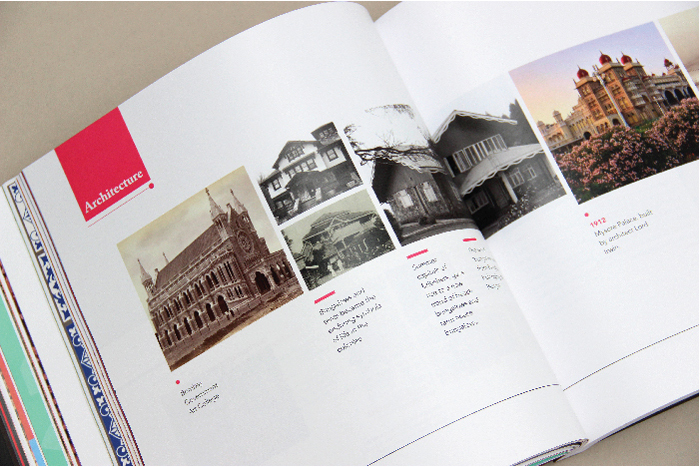 These parts are further divided into eras, with information and images to do with the architecture, art & craft, fashion, food, utensil, entertainment, appliances & gadgets, transport & automobiles of each era. 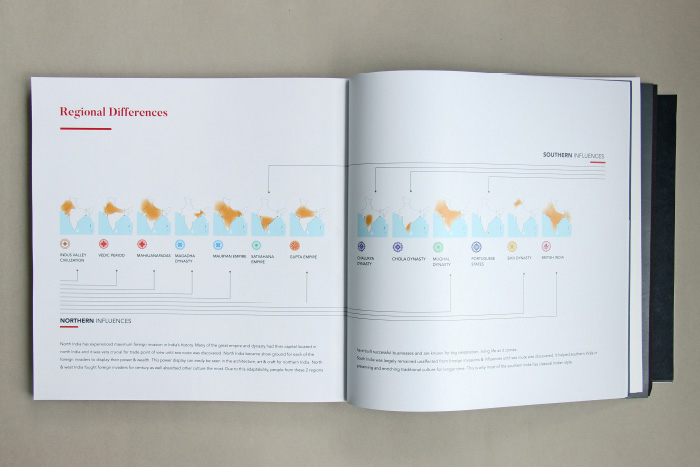 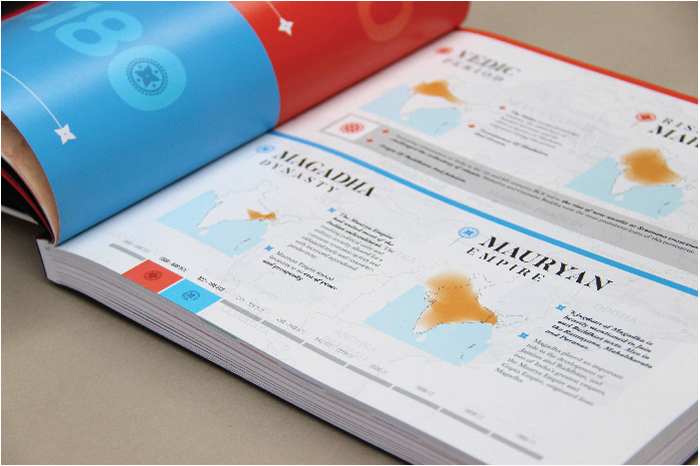 Since the book has a vast amount of information and images, we designed a system for the 3 parts of the timeline. 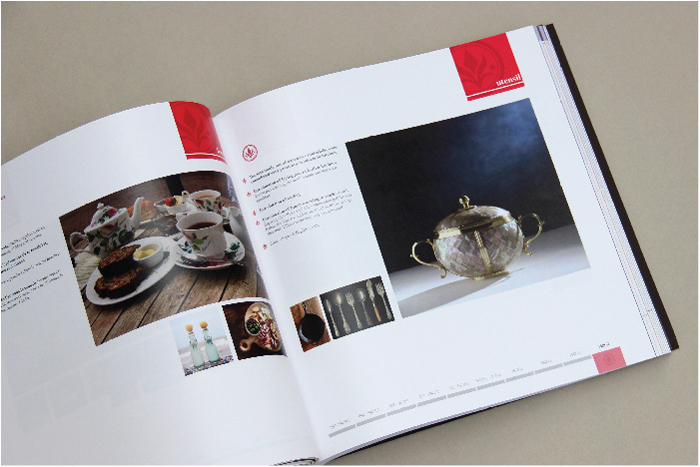 Each section is also icon-coded or colour-coded for easy consumption of content. 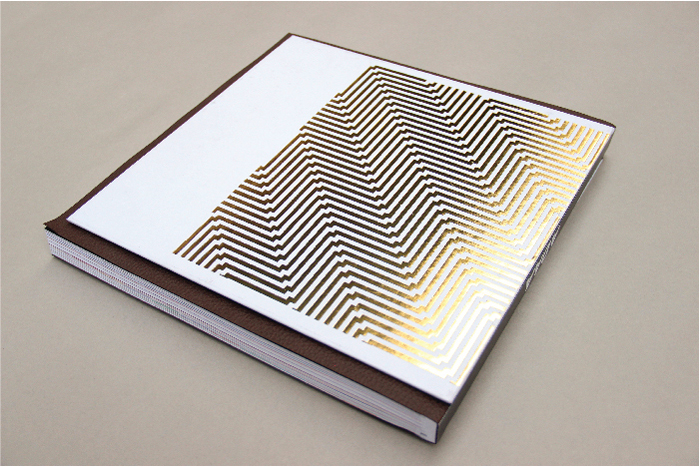 The book was very well received by the team at Samsung.